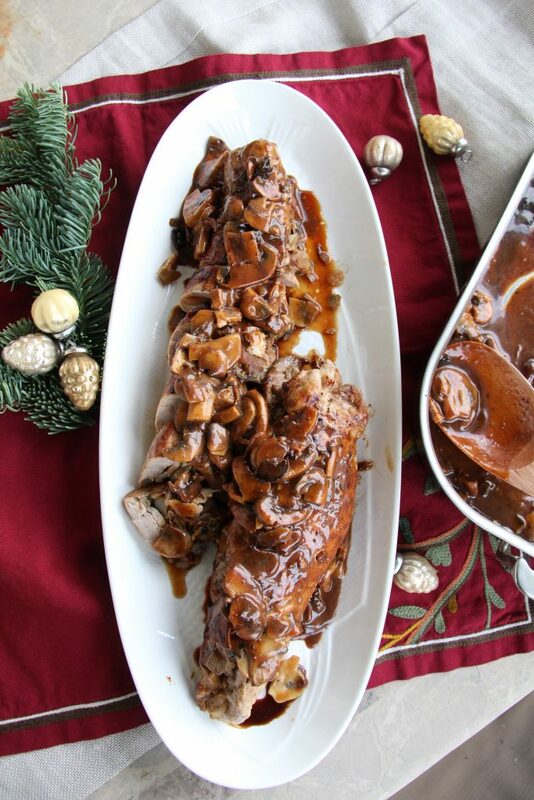 Stuffed Pork Tenderloin with Balsamic Mushroom Gravy is a dish that looks and tastes like you spent all day in the kitchen, but can be prepared and ready to serve in less than an hour! 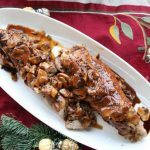 I love the rich sauce made with mushrooms, cooked until golden with dark balsamic drippings added and all whisked together. When I plan our Christmas dinner menu, I try to think simple- but a little out of the ordinary. Something special, but not a dish that requires all day in the kitchen! To me, Thanksgiving is a meal where I’m all about spending hours preparing, but Christmas has always been a relaxing day in our home. 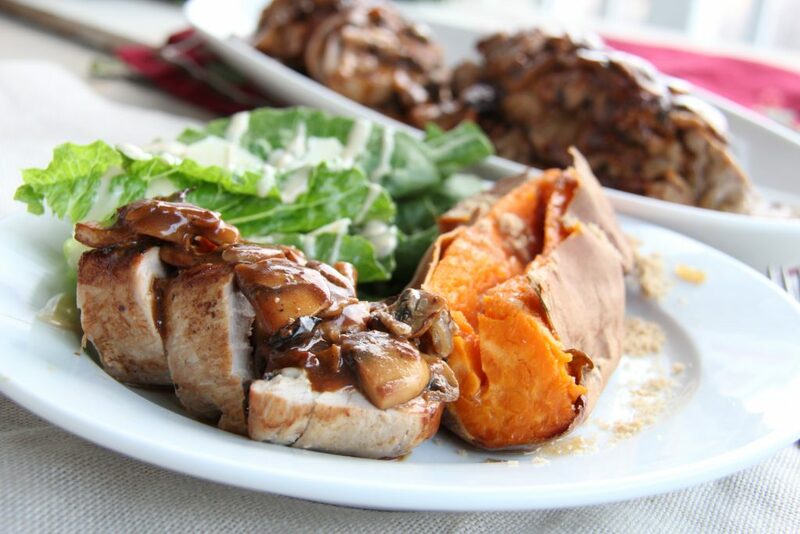 This year, I started working on a pork tenderloin dish that fit this description but was also WOW! delicious. 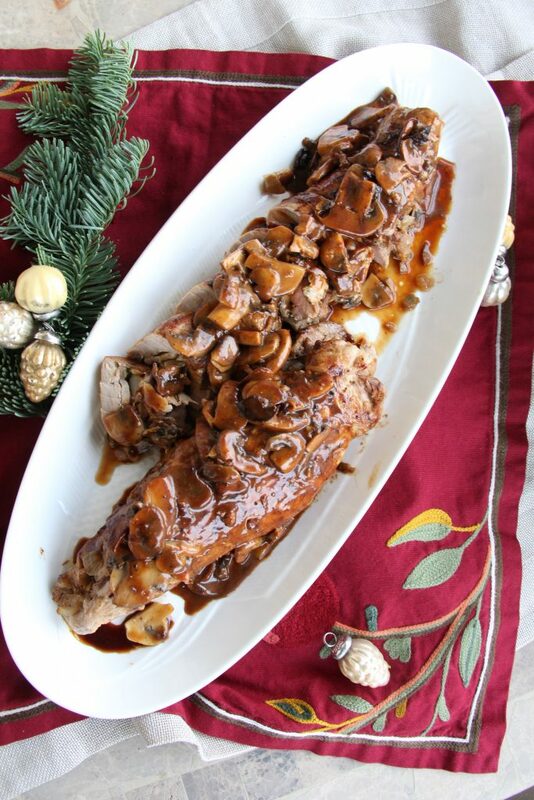 I’ve experimented with different methods of preparation and cooking this Pork Tenderloin with Balsamic Mushroom Gravy- stuffing the pork, not stuffing the pork. Rolling and tying the meat, holding it together with toothpicks… The recipe below is the result of what worked best and also what tasted best. Do not be intimidated by the length of the recipe! Cut the meat, set aside. Saute the onions and mushrooms. Stuff the meat, secure with toothpicks, brown on all sides. Cook the meat in oven, make gravy while meat is cooking, or if using roasting pan to make gravy, make gravy after meat is cooked. Remove the meat to a cutting board, cut and place on platter. There now, doesn’t that sound easy? -you’ll need two pans, a fry pan or saute pan, and a roasting pan or 9×13 pan. I like to use a pan that is NOT non-stick for searing meat, because non stick pans shouldn’t be heated to a high temperature, and also because I believe it’s better when little pieces of meat called “fond” stick to the bottom of the pan for the gravy. I have also made the gravy in my roasting pan over the stove (pictured). You will need a pan to roast the meat, either a roasting pan or a 9x13 pan, and a pan to saute the vegetables. 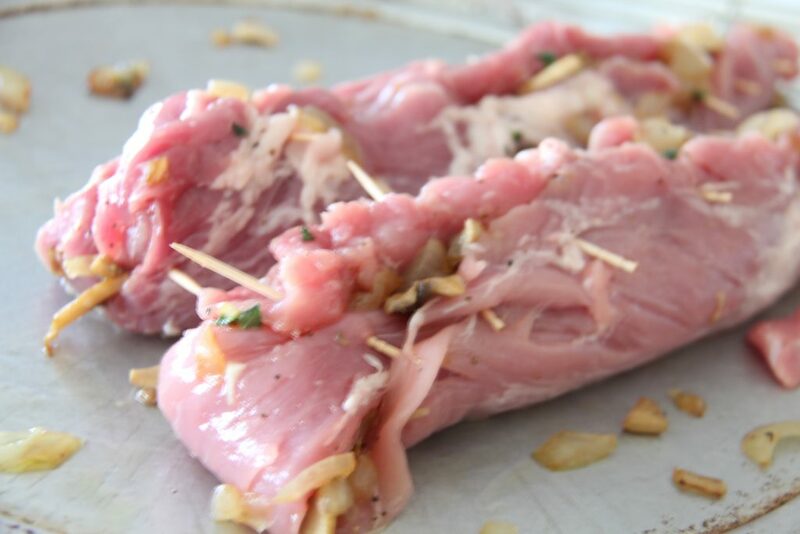 Lay the pork tenderloins onto a cutting board, and cut the pieces lengthwise down the middle to butterfly each tenderloin (see photo) by making approximately a 2 inch incision, unfold the tenderloin like a book. Drizzle about 1-2 tablespoons of olive oil on the inside surface of the meat, sprinkle generously with salt and pepper. Set aside until ready to stuff tenderloins. In a large frying pan, saute onions in 2 tablespoons butter and 2 tablespoons olive oil until soft over medium heat about 4 minutes. Add 3-4 cups or about half of the sliced mushrooms to the onions in pan. 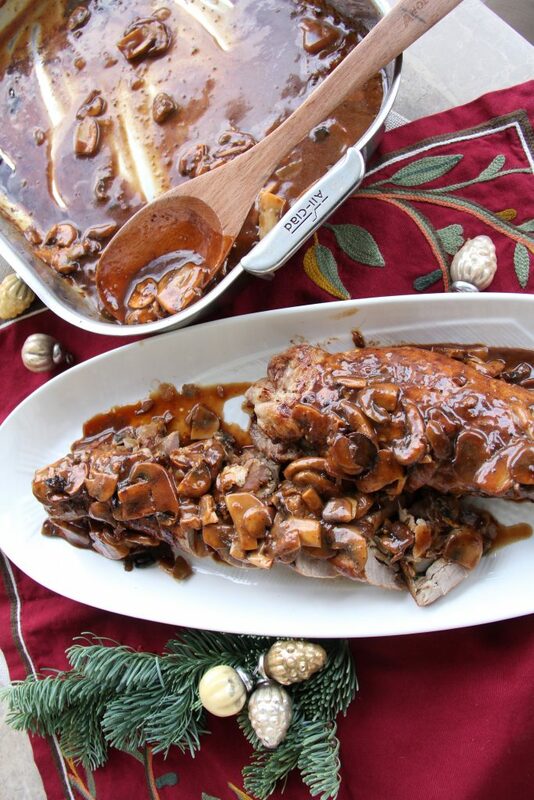 Set rest of mushrooms aside for gravy. 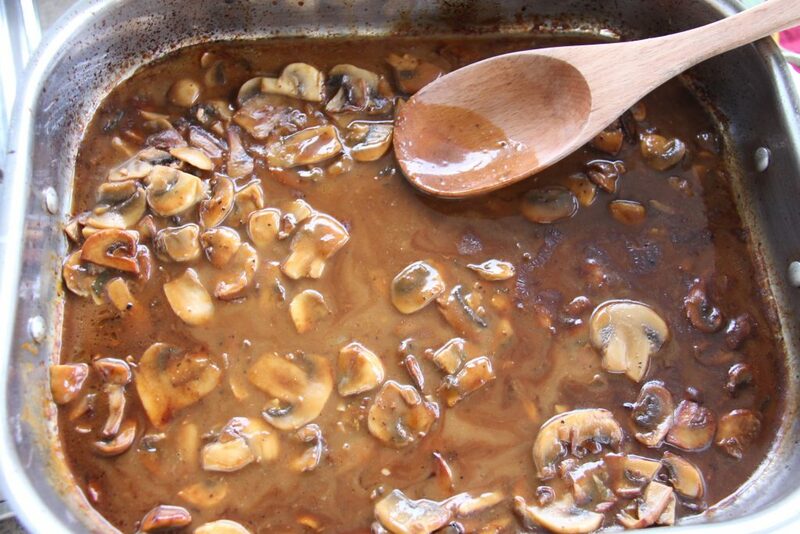 Increase heat in pan to medium high, continue stirring and cooking mushrooms until soft, about 4-5 minutes. Salt and pepper to taste. Cook until mushrooms start to turn golden, add chopped garlic cook for one additional minute. Remove mushrooms and onions from heat. Preheat oven to 450 degrees and place rack in middle of oven. 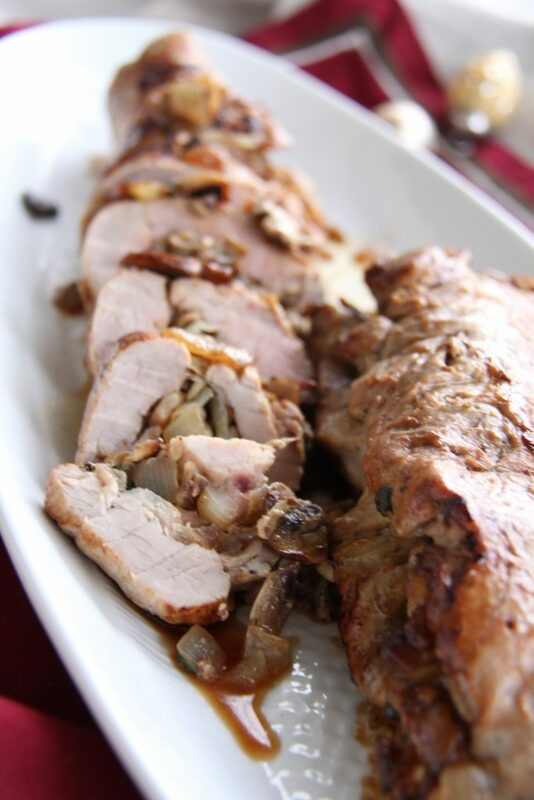 Spread the cooked mushroom and onion mixture evenly down the middle of the pork tenderloin. You may either roll and secure the filling inside, or simply place the filling in the middle of the pork and secure with toothpicks. Sprinkle outside of pork with a little salt or garlic salt. Add 1 tablespoon olive oil to pan used to saute onions and mushrooms. Heat the pan to medium high and then sear the meat on all sides, this takes approximately 2-3 minutes if pan is heated properly. The meat should be a rich golden color on all sides. Remove the meat and place seam side up in a roasting pan or 9x13 pan , do not wash pan. 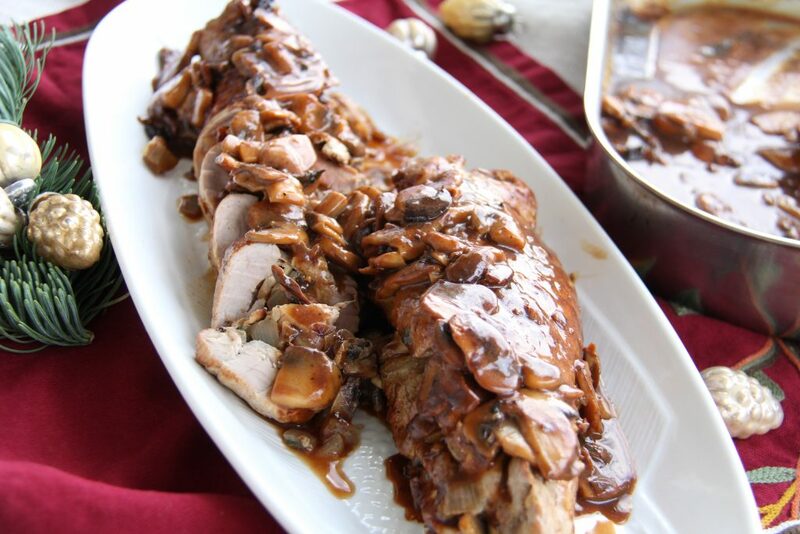 Pour 2 tablespoon soy sauce and 2 tablespoons balsamic vinegar down the seam (where toothpicks secure the roast) over each stuffed tenderloin roast so the sauces will soak into the filling and center of the tenderloins. 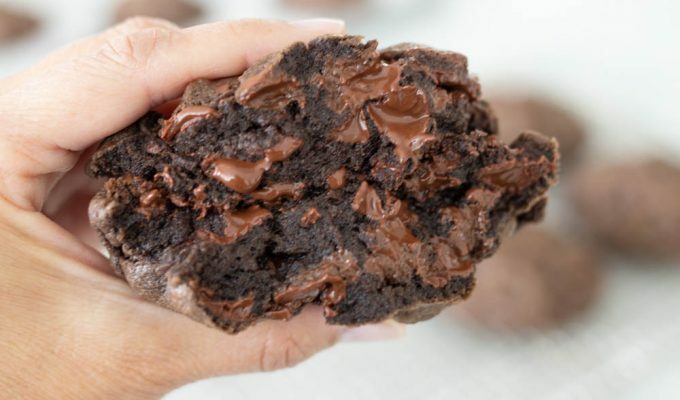 Bake for 15-18 minutes at 450 degrees. Set meat on counter for at least 15 minutes before cutting. Prepare gravy while meat is resting. 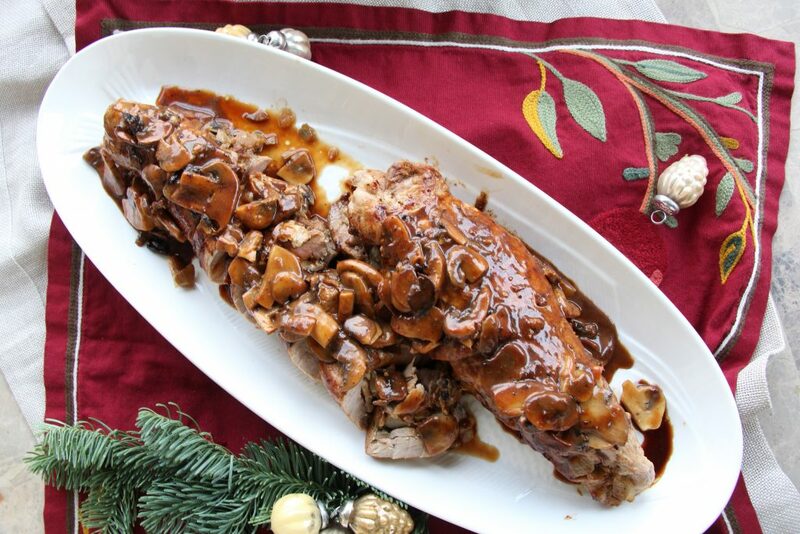 If preparing gravy in roasting pan, set meat aside onto another plate so the plate will catch the juices. Melt 4 tablespoons butter over medium heat in same pan used to cook onions and mushrooms. Add remaining sliced mushrooms and increase heat to medium high. Add salt and pepper to taste, stir fry mushrooms until golden brown. Sprinkle mushrooms with 1/4 cup flour, stirring while adding flour. Slowly add 2 cups chicken broth to pan, stirring while adding broth. 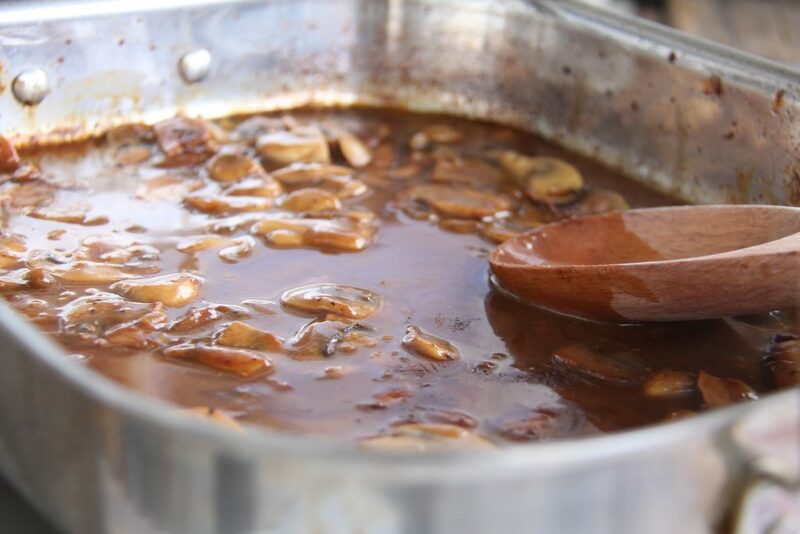 When mushroom gravy is thickened a bit, add the drippings from the roast this will give the gravy a rich, dark color. Stir until all juices are combined. When ready to serve, remove toothpicks gently from meat. Place meat onto cutting board. 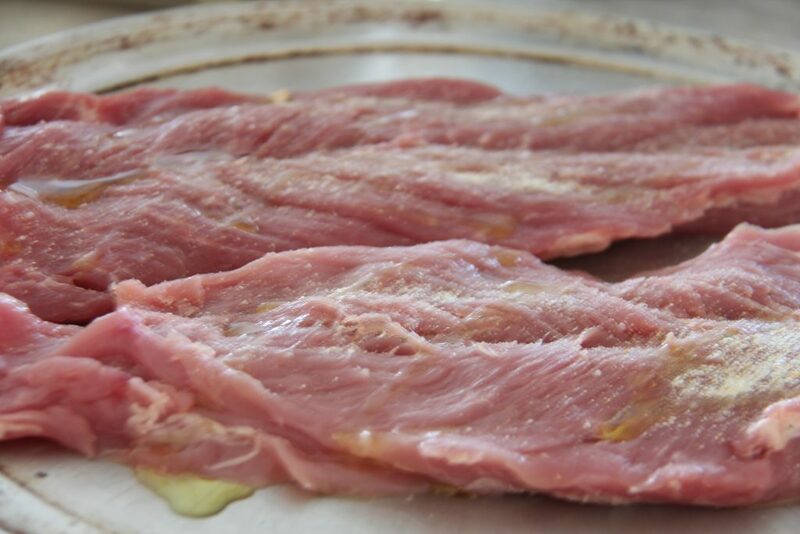 Slice tenderloins into 3/4 to 1 inch thick pieces. Carefully place meat on platter by sliding a long knife or spatula under cut meat and remove to a platter all at once. Spoon gravy down center of meat just before serving. 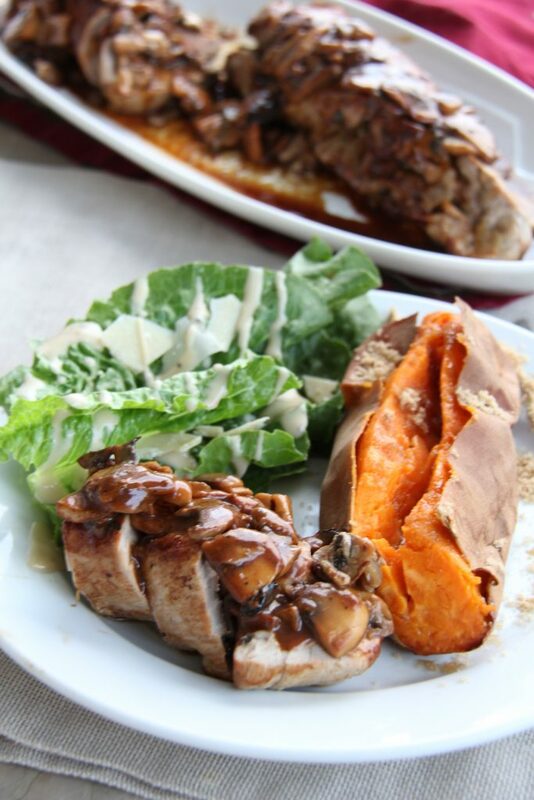 This was such an easy and AHMAZING dinner last night!! My adult children licked(literally) their plates clean. Thanks! !